Download Burger King's app to get up to $30 in mobile coupons,, includes deals on meals and BOGO Whoppers. Very popular coupon category on ebay. Buy sheets of coupons, and booklets for pennies. Print coupon and receive a Whopper Meal for 2 for only $8.99. Includes 2 Whopper sandwiches, 2 small classic fries & 2 small fountain drinks. Mix 2 of their most popular king sandwiches for only $5, also includes their fish, and chicken sandwiches. Visit a participating Burger King restaurant and get 10 piece chicken nugget for $1.49. Get 2 whopper jr sandwiches and 2 small classic fries for only $3.99. Print coupon and get a free whopper with the purchase of a whopper sandwich. Enjoy 10 chicken nuggets and one large classic french fry for only $3.. 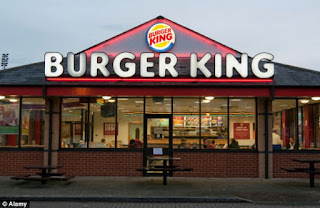 Enjoy 2 Original or Spicy Original Chicken Sandwiches and 2 small classic fries for only $4.99..
Burger King is a fast food hamburger chain that serves up American favorites at an affordable price. Grab a “Whopper,” French fries, chicken nuggets, or even a salad even cheaper if coupons are available.